What do beef jerky and fruit roll ups have in common? One thing, of course, is that they are both dehydrated food products that have a long shelf lives and are very easy and convenient to store at home and take with you on the go. 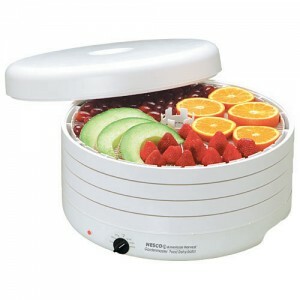 But they also share another thing in common – you can make them both at home yourself with a Excalibur food dehydrator. In fact, you can use a home food dehydrator to make a number of different snacks and healthy foods. 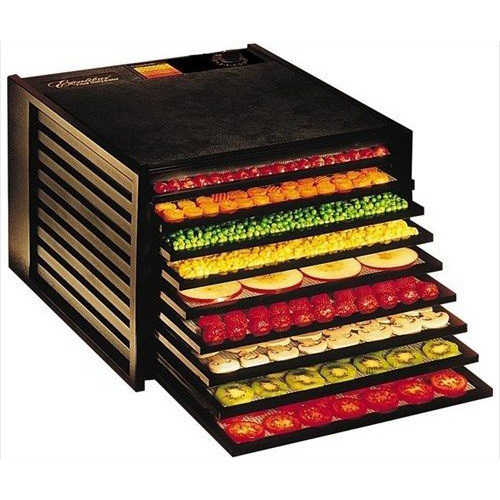 So how do food dehydrator’s work? You might be wondering why a person might need a food dehydrator in the first place. Can’t you simply leave the food on the counter to dry? Though the process of dehydrating food is relatively straightforward, simply leaving it out to dry won’t work. Food dehydration involves taking anything later wore thin slices of the food to be tried, and placing it in a dry environment that is warm enough to keep bacteria from growing, but not so warm as to cook the food. It is also essential that the moisture coming off the food surface has somewhere to go. This is why you usually can’t simply use your oven for food dehydration — even with the door of an door slightly ajar, it’s difficult for the food to dry properly. Not to mention the fact that dehydrating food is sometimes a lengthy process, and you probably don’t want to tie up your oven for so long. In fact, sometimes dehydrating a batch of fruit can take 20 hours or more. A benefits to you and your family are clear. Rather than always smacking on processed and potentially unhealthy foods, you can eat the jerky or tried fruits and vegetables that you made yourself. Using dehydrated vegetables by adding them to your soups and stews can be a great way to increase the number of vitamin-rich foods in your diet. Also, using a Excalibur food dehydrator is a great way to take advantage of sales at your grocery store for seasonal produce. Whenever there’s a great sale on your favorite type of apple, you can buy any few pounds (or more) and make a large batch of dehydrated apple snacks. This way you’ll be able to enjoy them long after the apples have gone out of season. Storing dehydrated fruit and vegetables is easy. Simply place them in an airtight container, and they should last on your shelf for many months (or more). 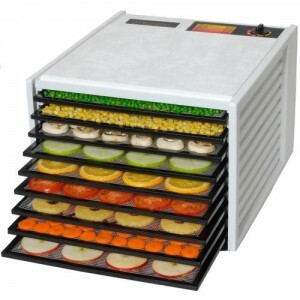 Finally, if you have kids, a food dehydrator can be another great way to get them more and interested in the food they eat. Studies have shown that the more kids understand about their food, and the more they are involved in preparing, the more likely they are to make healthy food choices into their adult years. So you want your kids to eat healthier—you’re not alone. Many parents watch their kids ingest all kinds of unbalanced diets full of preservatives and calories. Good news: Mitzi Dulan, RD, who blogs at nutritionexpert.com offers some good ideas to help us get our kids to eat better. Yes choices are good. And finally, Ms. Dulan emphasizes that we make out excitement about the food we eat contagious. Get your kids excited about making and eating food that is good for them. We at Fresh Start Juicers agree wholeheartedly. Making our diets our own and exciting engenders a healthy lifestyle that not only keeps us coming back to a healthy eating but, perhaps, also moves us into other healthy activities as well. Stop by our store to see how we can help with your kids’ diets. Try any one of Excalibur dehydrators and make granola as a first step.